I don't see any reason to be skeptical of any exaggeration, so I'd say "no, it hasn't been exaggerated". from Has the Holocaust been exaggerated? Apparently that sort of statement is worth +30 around here. 1. Provides "answers" (that are popular opinons). Where are these so-called answers supposed to come from if not from popular opinion? Science doesn't provide answers, it only provides statistical evidence to reject hypotheses. Engineers don't provide answers, they only provide useful models. The possibility that most scientists break the scientific method and agree about something doesn't make it anything more than a popular opinion, either; rather, that suggests to a skeptic that scientists who engage in such behavior need to be scrutinized for their ability to do their job properly. 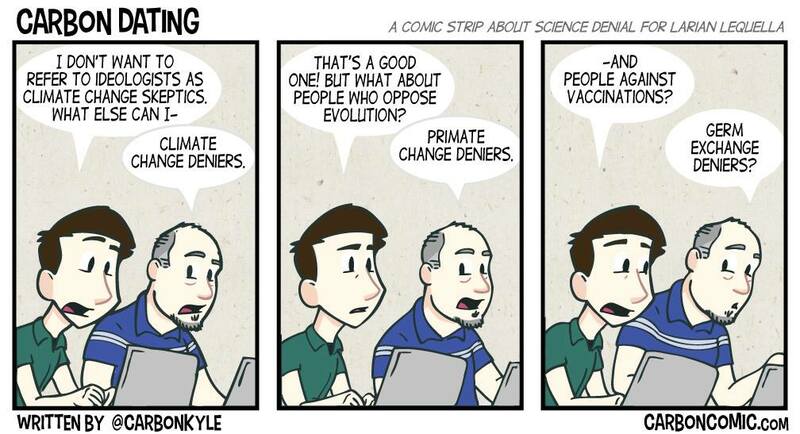 Skeptics, by definition, question things. For every piece of evidence a skeptic will have another question or doubt. For skeptics to accept "answers" shows that their skepticism was limited and easily appeased. If they pride themselves on the label that is the name of this stackexchange, that would almost be an attack on their character. 2. Promotes the fallacy of popular opinion. Via karma, up-voting, or whatever you call it around here, popular opinions are reinforced and given validity/credibility while unpopular, minority ones are killed off. Ironically, skeptics tend to be in the minority and are usually questioning the very popular opinion that you're promoting (and usually consider popular consensus a poor or fallacious argument). Nothing screams lack of credibility like overt censorship. Censorship makes a place hospitable for only a certain group of individuals. Often, and indeed it is the case here, the censorship is pro popular opinion/belief/morality. 4. Appears to have quite low quality answers that parrot mainstream views. This is not surprising given the above points. Here's another example of a low quality answer to a controversial issue that receives a gold star on [skeptics]: Do human activities contribute to climate change? Cartoon diagrams that appear to have been sourced from grade-school textbooks are hardly "evidence" to support causation between climate change and human activity. Here's a skeptic's first impressions of [skeptics]: This looks like a nice site for kids to ask questions and receive popular, mainstream, "science-based" answers that they were too lazy or incompetent to find themselves using Google, Google Scholar, or wikipedia. The Essence of the Skeptical Position. Extraordinary claims demand extraordinary evidence. The more conterintuitive a claim, or the more it seems to contradict existing, easily demonstrable knowledge, the more one needs to be convinced that the new report is not due to error or fraud on the part of the claimant. It is just as important to look at what else we must reject if we accept a cotroversial claim as it is to examine the evidence in its favour. The burden of proof lies with the claimant. The claim stands or falls on the quality of the evidence the proponent can provide. It is not the skeptic's job to prove him or her wrong. It is also quite alright for the skeptic to say, "I don’t know." He or she needn't feel obliged to offer a counter-explanation unless there is a plausible and well-supported one at hand. It is sometimes the best strategy, when confronted with a dubious claim, simply to point out its logical improbability and the paucity of evidence in its favour, and then adopt a "wait-and-see" attitude. To be taken seriously, claims must be testable, at least in principle. Above all, claims must be falsifiable. In addition, they must be stated clearly and in a logically rigourous manner. It must be explicitly stated what will count as evidence, for and against the claim, and what will constitute an adequate amount of evidence. The evidence must be public and accessible to all competent critics. Science is a public activity based on trust. With very few exceptions, any researcher who cannot or will not allow serious competitors to observe his or her methods or apparatus, or to have access to the raw data from an experiment, must surrender the presumption to be believed merely on his or her own say so. Over and above the possibility of fraud, there is the more likely probability that egregious results could be due to subtle, uncontrolled variables that the experimenter may not have noticed. Beyerstein, B, Distinguishing Science from Pseudoscience. Thanks for your feedback and opinions. We should be just as questioning about our own activities as those of others - more so, because we have a greater capacity to fix them. However, I think the issues you raise have been considered before and/or are not really issues. There appears no shortage of sources for evidence on the numbers killed, see also the excellent answer by @RedGrittyBrick above. Note a reference (admittedly to Wikipedia) was provided, and this wasn't the key aspect of the answer, which addressed a different part to the question as @RegGrittyBrick. The opinion here was a judgement on whether this reference should be trusted. Ultimately, we need to make that judgement on every reference. As a general rule, we try to provide the best references we can - but at the least, we need to see higher-quality resources than the original claimant provided. How do we define higher-quality? We have had stabs at this, but ultimately, it is difficult not to start with some a priori higher trust in some sources than others - if you want to categorise that as "opinion", then opinion ultimately cannot be eradicated from any scientific argument. Do good scientists ever reach consensus? I reject that this is going against the scientific method. I reject that this is a sign of poor form by a scientist. See Thomas Kuhn's work on consensus and paradigms. However, I accept that scientific consensus, reached by experts based on theories surviving experimental tests, is not an absolute 100% guarantee that something is right. (It is merely the best source of the best answer we could hope to achieve, to date.) As a result, Skeptics.SE cannot guarantee to offer 100% perfectly correct answers, at any time. Do good skeptics ever reach conclusions? This doesn't make sense to me, and suggests we are using different definitions of the words. So, it isn't against the basic tenets of a skeptic to provisionally accept a claim. Your definition reads more like nihilism than skepticism. Do we promote the fallacy of popular opinion? Via karma, up-voting, or whatever you call it around here, popular opinions are reinforced and given validity/credibility while unpopular, minority ones are killed off. Here, you make a good point, that has been considered before. There is an assumption that underpins all of the Stack Exchange sites: that the best answers will get the most votes. Indeed, is similar to the fallacy of popular opinion. Where voters on a site are subject-matter experts, this can be seen as a type of peer-review, and can be defended. What about the voters on Skeptics.SE? The hurdle to upvote is relatively minor (15 reputation points) - nothing like what is required to review a paper in a high-quality journal. It is fair to say that some questions and answers get more than their fair share of upvotes, because they are popular topics among Stack Exchange users and appear in the Hot Network Questions list. We also have limited subject-matter expertise in the topics being asked about. Nonetheless, we have a solid community of people who understand the nature of evidence, and we seem to have enough expertise for bad arguments and evidence to be quickly revealed as such. In short, I cannot argue that Skeptics.SE voting system is necessarily ideal. I can only say that it is a necessary part of this venture, and that historically, I think we, as a community, have done an excellent job. I point to the evidence of our answer-base as evidence that we produce good answers at a high rate. Again, this seems to be a different definition of skeptics to the one we use. I think skeptics agree with the majority a majority of the time - so often, that it is the exceptions that are more memorable. Skepticism is not contrarianism, cynicism or denialism. Unfortunately, this claim is wrong, tiring and offensive. It is wrong becauses Skeptics.SE is not censored. Skeptics.SE is moderated. It is moderated hard. It is moderated to keep questions on-topic. (e.g. this one, which had to be moved, because it wasn't) It is moderated to avoid spam and abuse. It is moderated to ensure answers are backed by empirical evidence. We try to follow processes that are open. It is tiring because we have had this claim levelled at us before, but no-one ever provides an example of genuine censorship - just cases where answers violated the rules and were dealt with. To me, the real questions whether I have any subconscious biases. For example, do I tend to copy-edit answers I agree with disproportionately often than answers I disagree with, and hence give them a little boost? It is a question I can't answer, but try to keep a look out for. Do we have have quite low quality answers that parrot mainstream views? Given your views of skepticism above, I am not surprised that you think that answers that echo scientific consensus are the same as "parrotting mainstream views". However, that is not how we measure quality. We measure quality based on whether the statements are supported by published empirical evidence. You object that the site is doing research for people who are too lazy or incompetent to search for it themselves. YES! Popularising scientific discoveries is pretty much what we do here. (We don't do original research. We share what scientists have already discovered.) Hopefully, we can do it in way that makes it easier for the next person with the same concern about a claim to find an answer faster. Textbooks have the same goal. The question you challenge uses text-books to explain basic scientific concepts to a general populous. It seems completely appropriate to use textbook images to explain uncontroversial concepts, like how the Greenhouse Effect works. We seem to have different understanding of the word "skeptic". I wonder if it is brought about by the adoption of, and watering down of, the prestigious title "skeptic" by vaccine denialists, HIV denialists and climate change denialists. Your concern that voting by the general public is not the way to find the truth is a fair one, and one that I share. There was a risk when this site started that the voting system would be unable to sort the wheat from the chaff. Strangely, it does work. Like Wikipedia, the general concept behind it seems to have no right to work, and yet it continues to produce a high-quality product in the face of these theoretical objections. Skeptics is about following evidence and logic, not popularity. Popularity has nothing to do with what the evidence is. That is not true. Skeptics are committed to a method, not a particular conclusion. If the method (scientific skepticism) supports a particular viewpoint, that is the one accepted here. Whether it is also the mainstream view is irrelevant. When we say "skepticism" here, we're talking about scientific skepticism (roughly). I think you're talking about contrarians, rather than skeptics. This site is actually the opposite of what you would like. We do not like opinions, mainstream or not. We represent mostly the current mainstream evidence. We expect evidence, and hate theories, opinions and speculation. We do not represent niche points of view unless they have valid evidence. Like opinions. We don't really care we might be wrong. We don't claim to be right in the first place! "Right" or "wrong" are opinions, which, you guessed it, we don't like. Verifiable evidence is what it is. We apply skepticism equally to all sides, and that is why we only accept evidence-based answers. We have no problem having answers who reach different conclusions, as long as there's evidence and the answers tries its best to be objective. We describe the evidence, we don't have to "take a side" if things are unclear. Of course, cherry-picking evidence is also not going to win anyone friends here. The alternative one (this one has no believable evidence). In this case we will only accept "1" and not "2". What is meant by the word “scientific” in this site's “scientific skepticism”? How should answers containing pure gibberish be flagged? Should we routinely link to PubMed for biology questions? Should a person who is more qualified be subject of less skepticism than one who is not?